The Middle School Singles Tournament will be held on Sunday, May 21st at Colonial Lanes in Flushing. The tournament begins at 11am and the cost is $11 each. Walk in entries will be accepted up until 30 minutes before the tournament begins. Click the links below for confirmed entries and scores as the tournament is taking place. Congratulations goes out to Jacob Laurin from Bendle. Jacob bowled his first 200 game ever, a 201 game at Holly Lanes in Holly on Saturday, April 21st. Jacob is an 8th grader at Bendle and this is his 3rd year bowling and 2nd year on the middle school team. He is currently averaging 134 in the middle school league and is looking forward to high school bowling in the future. Jacob credits his dad Bruce for helping him improve and Bendle Varsity Coach Tom Syromi. His other game in the match was a 134 game and he said: ” I knew I needed a mark in the 10th frame for the 200 game” and he was glad he was able to do it, he was excited to help his team win the match. Congratulations Jacob! 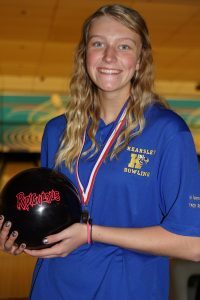 Hannah Ploof has been a member of the Greater Flint Youth Bowling program for 11 years and participated in high school bowling all four years on the Varsity Team at Kearsley High School. She has a youth high average of 234, high game of 300 (2 times) and a high series of 800. She was a member of the Kearsley High School team that won three Regional Titles and was also a member of the high school team that won the Flint Metro Conference all 4 years of her high school career. She was a member of the Kearsley Varsity Girls team that won three state championships in a row in 2014,2015 and 2016. She also won 2 individual Regional titles in high school and was the 2016 Division 2 Individual State Champion. She was named 1st Team All Conference all four years of high school in the Flint Metro Conference. She was named 2nd Team All State in her Freshman and Sophomore years of high school and then was named 1st Team All State her Junior and Senior Years of high school. She was the team captain for the Kearsley girls for 3 out of her 4 years on the team. She was rewarded for her remarkable high school bowling career by being named the Detroit Free Press Matt Fiorito Miss Bowling award winner for 2016 season. Hannah was a member of the Greater Flint Youth All City Team in 2005,2006,2007,2008,2009 and 2010. 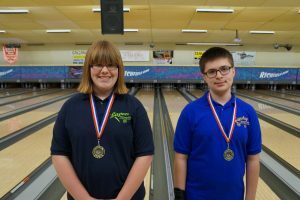 In 2014 Hannah bowled an 800 actual series which at the time was the first recognized 800 series by a girl in Greater Flint Youth Bowling history. In 2007-2008 she had the high game and series for a bantam bowler (8 years & younger) with a 160 game and a 429 series. In 2007 she received a center award for high average for a bantam bowler with a 114 average. In 2008-2009 she had the high game and series for a prep bowler with a 232 game and 553 series. In 2009-2010 she had the high game and series for a prep bowler with a 241 game and 598 series. In 2010 she had the high average in Greater Flint for prep bowlers with a 160 average. In 2013 she had the high average in Greater Flint for Junior girls with a 207 average. In 2008 she finished 4th in the City Mixed Doubles Tournament and also was a member of the team that finished 2nd in the City Tournament in Class C with a 2776 total. Also in 2008 she finished 5th in All Events in Class B with a 2163 total. In 2010 she finished in 3rd in City Doubles with a 1501 total and in 2011 she was a member of the team that finished 2nd in the State Tournament in Mixed Doubles Division in Jackson. She also finished 4th in All Events in the state tournament in 2011. Hannah won the City Mixed Doubles Championship in Class E in 2004-2005 and has been a member of MJMA for 5 years with a high finish of 4th Place in the Adult/Junior Doubles in November 2015. Hannah also has numerous bowling awards in high school tournaments as she was named to the All Tournament Teams in the Lila Furnish Classic Tournament in 2014 and the Davison Mixed Doubles Tournament in 2014. She was a member of the team that won the Bay City Western Baker’s Dozen Tournament in 2013,2014 and 2016 and the Bangor John Glenn Holiday Tournament in 2014. Her team won the Flint Metro Conference Team Invitational Tournament in 2015 & 2016. Hannah also won the Cavalier Eliminator Varsity Singles Tournament in 2013,2014,2015 and was runner up in 2016. She was a member of the team that won the Best of the Best Tournament in 213 and 2014 and she was the Flint Metro Conference Singles Tournament Champion in 2013. She was named to the All Michigan Team in 2013 & 2014. Hannah also had a great 2016 City Tournament in Greater Flint as she was a member of the winning Team in Class AA and also was a part of the winning team in the special high school division of the City Tournament with the Kearsley Varsity Girls Team. She also won the Doubles event in Class A with partner Alexxa Flood and won the Singles Event in Class A and also won the All Events in Class A.
Hannah has coached middle school bowling for Kearsley for 3 years and served as President and Vice President for the Family & Friends League at Nightingale Lanes and Richfield Bowl and was also a league officer for the Tuesday Scratch League at B’s Bowling. She organized the Kearsley Bowling teams to volunteer over the holidays at the Food Bank of Eastern Michigan in 2015. 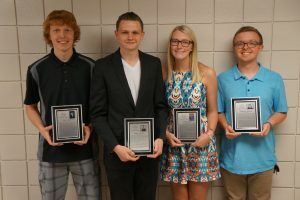 In addition to these accomplishments she is also a member of Junior Gold and was named the 2016 Star of Tomorrow Scholarship winner from the Michigan State Women’s Bowling Association and she won the Kiwanis Club Athlete of the Year for Genesee County. Being inducted into the Youth Hall of Fame would be an amazing accomplishment for me. I put so much hard work and dedication into the sport of bowling and I feel as though being inducted would prove this. Seeing my sister being inducted has also pushed me to a goal of also being inducted into the Youth Hall of Fame. Congratulations Hannah and welcome to the Greater Flint Youth Hall of Fame! Andrew Anderson was a member of the Greater Flint Youth bowling program for 9 years and bowled for Holly High School for 3 years. He has a high game of 300 which he has (22) of them in his junior career and a high series of 837 which he has (20) 800 series in his junior career. Andrew has a career high average of 245. In high school Andrew was a 1st Team All Conference selection in the Flint Metro Conference and he finished his high school career by winning the individual state championship in Division 2 singles. He spent the majority of his time traveling to tournaments and was named the 2013 MJMA player of the year. Andrew moved on to bowl collegiately for Davenport University in 2013-2014 where he was named the Collegiate Rookie of the Year. He also finished in 5th place in Junior Gold in 2013 and has been a Junior Gold Runner Up finisher. He has been named to the Junior Team USA 3 times and has won 15 gold medals at the tournament of the Americas over 2 years. In 2012 Andrew was part of the USBC Youth Open Team Champion. Andrew is now currently attending Weber University and bowling collegiately. Congratulations Andrew and welcome to the Greater Flint Youth Hall of Fame, joining your brother Matt! 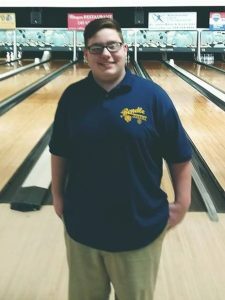 Kyle McGrath has been a member of the Greater Flint Youth bowling program for 12 years and participated in high school bowling all four years of high school for Davison High School. He has a high game of 300 and his career high series is 793. Kyle has a high average of 218. Kyle has made the Greater Flint Area All Star/Invitational Team two times in 2014 & 2016. He was 5 time All City Team member in 2008-2009, 2009-2010, 2010-2011 (Captain), 2012-2013, 2014-2015. 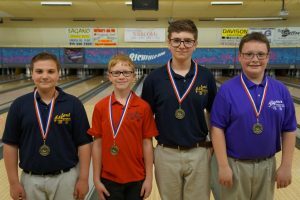 Other Greater Flint Youth bowling accomplishments include having the High Game 258, High Series 661, & High Ave 169 for Prep Division boys in 2009. Kyle also won the 2010 Class A All Events Division in the City Tournament and in 2011 won the Bob Abraham Award for the highest actual game in Team Event with a 289 game. He also won the Loretta Deuhring Award for the 289 game in 2011 as his big game was 106 pins over his average. In 2015 Kyle was named the Peg Oliver Scholarship winner from the Flint 700 Club. In middle school bowling Kyle was a member of the team that won the Maroon Division and in the singles tournament in middle school bowling he was the high qualifier and had the high actual game of the tournament. In high school bowling Kyle was a 4 year starter for the Davison Cardinals earning a 4 year varsity award and he was named team captain all 4 years of high school. In 2012-2013 in high school bowling he was named to the Bangor John Glenn All Tournament Team, was a Saginaw Valley Honorable Mention and was a member of the team that won the Best of the Best Tournament. In 2013-2014 in high school bowling he was named Saginaw Valley All Conference 1st Team and finished the Saginaw Valley Singles in the top 10. He was also a member of the Davison Holiday Mixed Doubles All Tournament Team and was a Davison Holiday Mixed Doubles Semi-Finalist. In 2014-2015 he was named Saginaw Valley All Conference 1st Team and won a Regional Team title and qualified for the State Finals in singles. In 2015-2016 in high school bowling he was named Saginaw Valley All Conference 1st Team, was a member of the team that won the Bay City Western Baker’s Dozen Tournament, was a member of the team that won the Flint Metro Conference Championship Tournament, finished 3rd in the Swartz Creek Doubles Tournament, was named to the Davison Holiday Mixed Doubles All Tournament Team and finished 2nd in the Davison Mixed Doubles Tournament. He also won the Eisenhower Doubles Tournament and finished in 2nd Place in Regional Singles and was a member of the team that qualified to go to the State Finals. He finished 10th place in state singles and his team finished in 6th place. He was named 2nd Team All State his senior season. In Michigan State Youth Tournaments Kyle was a member of the 2014-2015 State Mixed Team Tournament Champion and also finished in 2nd place in Open Boys in the Doubles Events. Also in State Youth Tournaments he was the 2015-2016 State Open Doubles Champion and finished in 6th place in Open All Events. He also finished in 7th place in the 2015 Youth Masters Tournament. Kyle has been a member of MJMA for 4 years and has high games of 298 & 300 in MJMA events. He is the first person to ever bowl a 300 game at the Dan Ottman Memorial Championship Tournament which is traditionally the toughest of all MJMA tournaments. He finished that tournament in 2015 in 2nd place, his highest finish in an MJMA event. 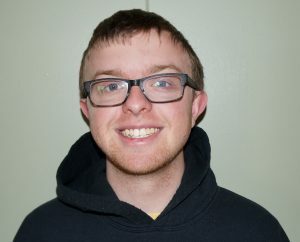 Kyle was also named to the 2014-2015 Michiana Cup team to participate in a match against top bowlers from Indiana as the Michigan team won the event in 2015. He has also been named to that team again this year for the 2015-2016 season. Kyle is also a Junior Gold Member and participated in the Youth Open Championships. In 2013 he finished in 3rd place in the U15 Scratch Doubles division and also was a member of the U15 Team that finished in 7th place. He is a 3 time Junior Gold participant. He also participated in the Turbo Tech Collegiate Expo in Buffalo, New York in 2013-2014 when he finished in 3rd place in the boys division. He also just won the first Annual Turbo Tech Collegiate Expo Challenge Tournament in 2016. Kyle has also been a 2 time Schildroth Invitational participant, usually for the highest average in your age division. Without the Greater Flint Area Youth Program I would not have met many great friends that I have to this day. Nor would I have been able to have the opportunity to bowl collegiately at one of the best engineering schools in Michigan. The Scholarship awarded would also help support me in college. Being placed in the Greater Flint Area Youth Hall of Fame with some of the best bowlers and coaches from Flint that I looked up to when I was young would be a huge honor. Congratulations Kyle and welcome to the Greater Flint Area Youth Hall of Fame! 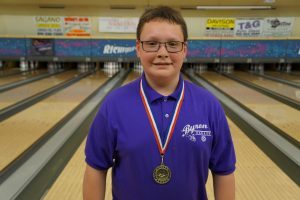 Brandon Richard has been a member of the Greater Flint Youth bowling program for 10 years and participated in high school bowling all four years of high school for Kearsley High School. He has a high game of 300 and his career high series is 788. Brandon has a high average of 213. Brandon accomplishments include having the highest series for a prep bowler in 2008 with a 575 series. He also had the highest average for a prep bowler in 2008 with a 159 average. Brandon won the 2010 Greater Flint USBC Class B Mixed Doubles Tournament and was named to the 2011 Greater Flint USBC All City Team as a Junior bowler. In 2013 Brandon was a member of the Greater Flint Invitational Team and was named to the Greater Flint All City Team in 2014 for the Major/Senior Division. In 2014 Brandon won the Greater Flint Singles Championship in the City Tournament Open Division. In high school bowling in 2012 Brandon was named 2nd Team All Conference in the Flint Metro Conference , finished 2nd place in Regional Singles and finished in the top 8 in the State Finals in Singles. He was then named 2nd Team All State. In 2013 he was named Honorable Mention in the Flint Metro Conference and won the Carman Ainsworth Singles Tournament, he also finished in 6th place in the state in the Pepsi Tournament in 2013. In 2014 Brandon was again named 1st Team All Conference for the Flint Metro Conference and won the Regional Singles title in Owosso and went on to finish in the top 16 in the State Finals in singles. He was named 3rd Team All State in 2014 and he was a part of the Kearsley Varsity team that won Conference, Regional and State Titles that year. He was named the MVP of the varsity team in 2014 and was named the Flint Journal Winter Athlete of the Year in 2014. Brandon also has been involved with coaching middle school bowlers for 3 years. In addition to his high game of 300 Brandon has had (2) 299 games and he bowled collegiately for Lawrence Tech this past season. Being inducted into the Greater Flint Area Youth Hall of Fame would mean the world to me. It would mean the world to me because knowing that all of the countless hours of sweat and work that I put into my game did not go unnoticed. Also the fact that I would be inducted with some of the best bowlers that have ever came through the Flint area would be a dream come true. This would also give me more motivation not only to further my game, but also give me the confidence to help others further theirs, but in all reality this is wat I have always wanted and strived for since I moved here 10 years ago. After moving here 10 years ago the Greater Flint Youth Bowling Association has helped me make life long friends and memories. Congratulations Brandon and welcome to the Greater Flint Area Youth Hall of Fame!